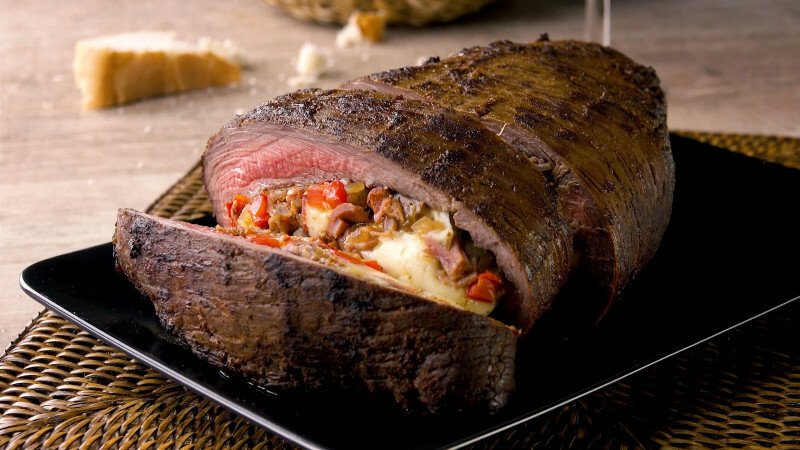 The rump cap cut features heavily in Brazilian cooking, where it is known as the Picanha. With a decent amount of fat coverage to keep it moist, the rump cap is perfect for barbecues and roasting. Today's recipe will be focusing on the latter, as we'll be creating a heavenly roast that packs plenty of punch in the flavor department. 1. 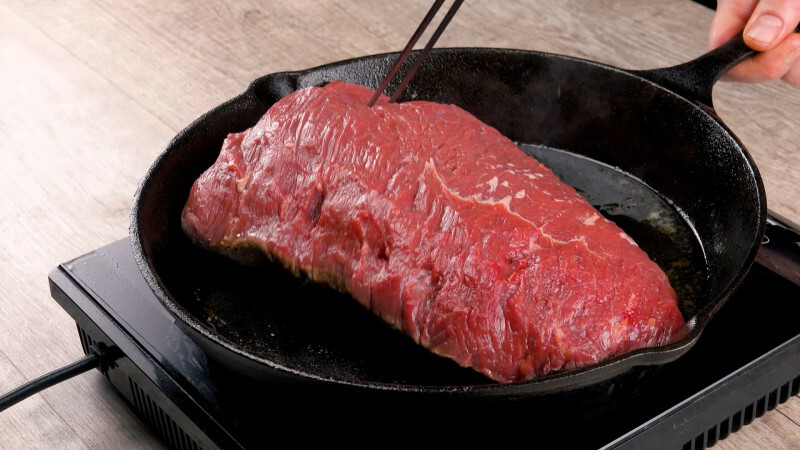 Remove the fat and sinew from the rump cap and sear it on both sides in a pan containing vegetable oil. After removing it from the pan, leave it to cool for a short while. 2. 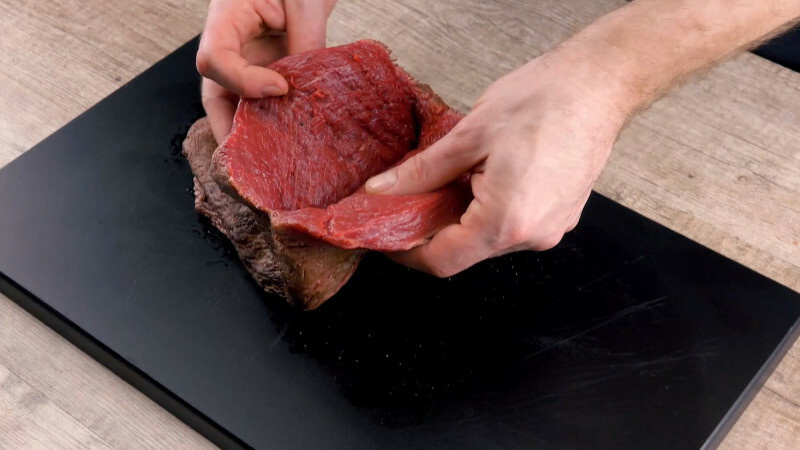 Use a sharp knife to cut off a thin slice from the larger side of the rump cap. Next, cut a deep pocket into the meat as in the image below. 3. Now carefully roll the pocket inside out, making sure the rump cap doesn't get torn in the process. 4. Chop up the onions, peppers, and bacon and fry them in a pan. Transfer the contents of the pan into a bowl containing diced mozzarella and stir everything together with the oregano. Add the filling to the meat. Close the pocket with cocktail sticks and rub the paprika, coarse salt, and pepper onto both sides of the meat. 5. Place the rump cap in an oven set to 390°F with the top and bottom heat on for 35 minutes. Afterward, leave it to rest for 10 minutes. For the sauce, reduce the red wine and add the plum jelly, a pinch of salt, and some cayenne pepper. Leave the sauce to cook for five more minutes. 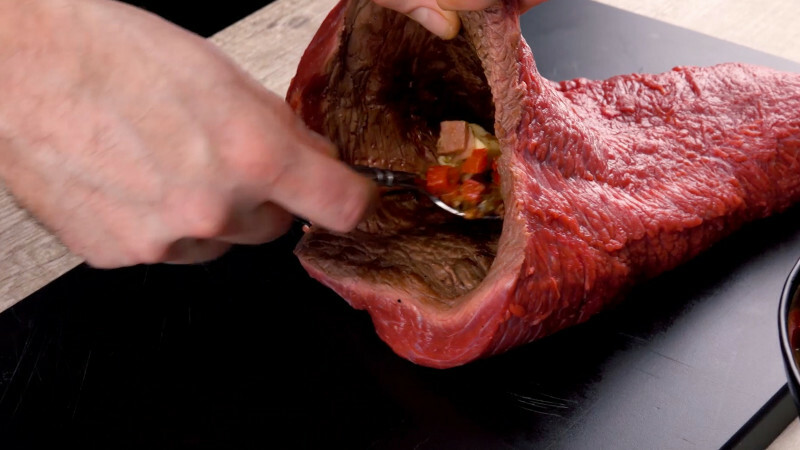 It's surprising to see that this sumptuous cut of meat is fairly unknown in everyday cooking. That's why it's down to you to spread the word by preparing this hearty roast for all your friends and family!